Posted on December 3, 2018 by Tish Farrell	This entry was posted in African wildlife, Maasai Mara and tagged #timesquare, Desert Date, Tish Farrell Writer. Bookmark the permalink. I so love our African photographs. They make me years for farway fields with animals still healthy in herds. Better not to go now. I have a feeling it is much changed and not for the better. Oh I don’t know. Kenyans have been doing an awful lot of conservation work, though admittedly there have been encroachments by new highways and a railway through various parks. And yes the never ending poaching of rhino horn and ivory. But apart from national parks, quite a few private sanctuaries have arrived since our time, and some of them are vast. Adorable pic. Asante sana Tish. Kwaheri sassa Memsahib. Wishing you well. Hello Laura. Yes quite a few albums, though not all have been scanned. It must be great to look back on your time there. I can see how such an experience would be forever in your memory. Close up encounters with wild animals can have a profound effect. I sometimes find animals I’ve met coming into my meditations. That’s a very interesting observation. I think they can somehow claim our attention on many levels. Glad you liked this, Becky. I think they may have started a trend square-wise. Been enjoying the Dynasties TV programmes recently; lions are such wonderful creatures, though the way males will kill the cubs if they aren’t their own always makes me sad. How lovely to have seen this family. They look adorable, Tish.. 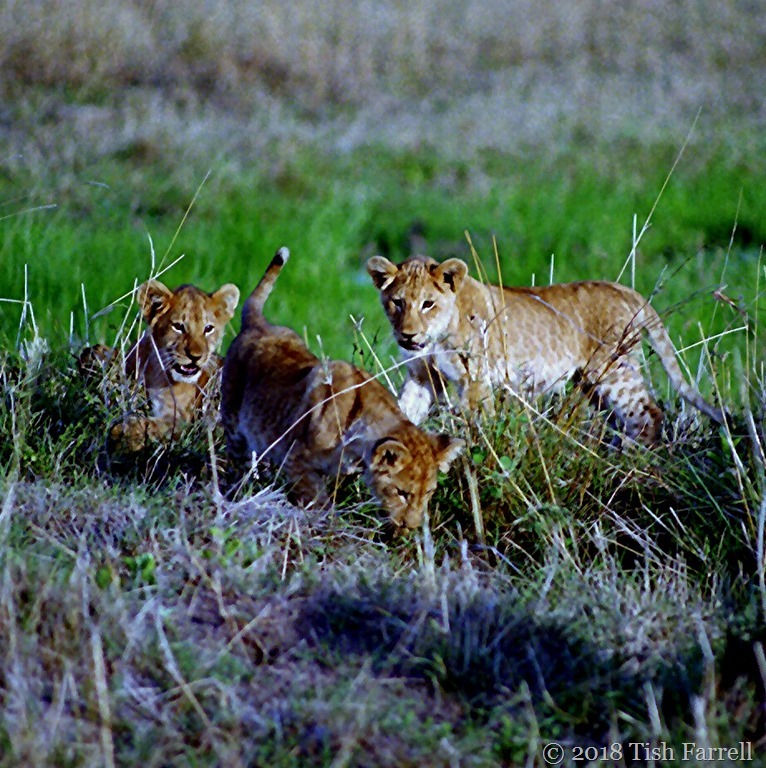 I hope one day I can return to Maasai Mara. I miss Africa..